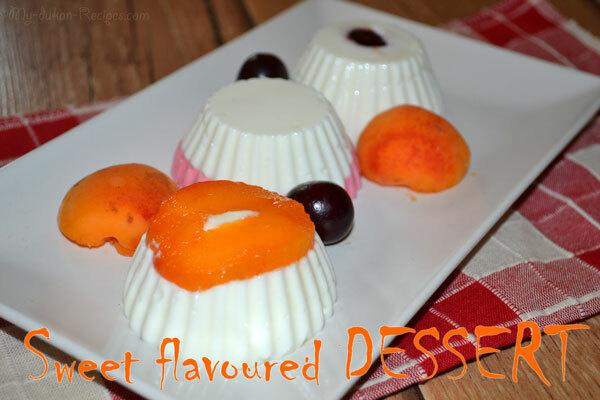 For the hot summer days I propose you a good refreshing dessert, easy to make. First, put the gelatine sheets (or the powder gelatine) of the hydrated gelatine to water at room temperature. 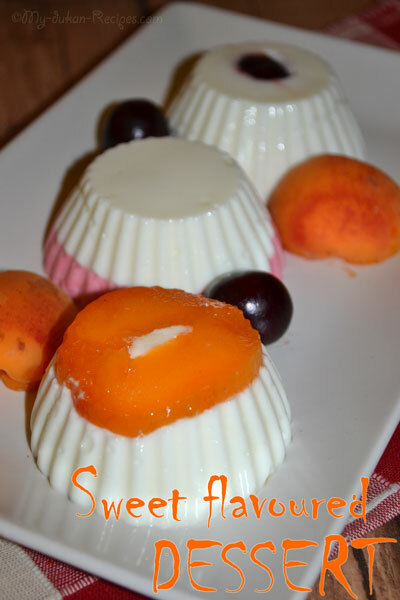 Mix the cheese with yogurt and sweetener. 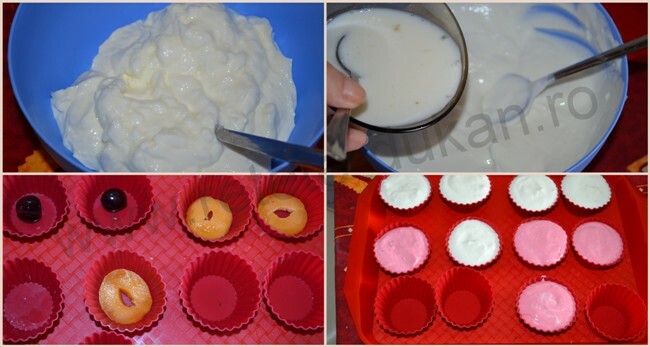 Heat the skimmed milk and dissolve in it the hydrated gelatine. Pour the gelatine over the cheese mixture and blend. Now add the essence you like (vanilla, mint, coffee, strawberry etc) Using a spoon pour the mixture into 8-9 silicone reusable baking cups and let them rest in the fridge for at list 1 and ½ hour. For the consolidation phase you can place on the bottom of cups different fruits, and them add the cheese.